Singapore: Brent crude held above $114 on Monday, extending the gains of the previous week on hopes of steady demand growth as concerns over Europe’s debt crisis eased, with Italy and Greece putting in place new governments to shore up the countries’ finances. 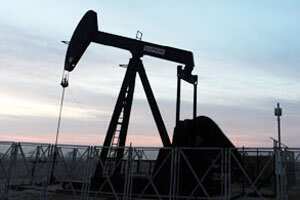 Brent crude gained 37 cents to $114.53 a barrel by 11:25 am, after rising to as much as $114.83. US oil traded 6 cents higher at $99.05, after touching $99.69, the highest since July. On Friday, the US benchmark closed at a 15-week high and posted a sixth consecutive weekly gain, while Brent pushed higher for a third straight week. “US crude prices have a further upside towards $102 this week, based on technicals and support from developments in Europe," said Ken Hasegawa, a commodity derivatives manager at Newedge Brokerage in Tokyo. “We have already seen a big rebound in US crude of about $25 a barrel since the low they touched in October." The US benchmark had slipped to $74.95 on 4 October, the lowest this year, and the contract has rebounded 32% since then. Hasegawa expects prices to correct to about $95 a barrel as investors may book profits after they touch $102. The spread between Brent and US crude will remain at the current level of about $15 for the rest of the year on steady demand for grades linked to the European benchmark even as output improves in the North Sea and Libya, he said. Brent is expected to fall to $111.30 per barrel, a low touched on 10 November, while US oil may either hover around a strong resistance at $98.91 or retrace to $97, says Reuters technical analyst Wang Tao. Technocrat leaders in Italy and Greece are rushing to limit further damage to their countries from the debt crisis. Italy’s president asked former European Commissioner Mario Monti to form a government in an economy whose debt burden is too big for the euro bloc to bail out. In Greece, Lucas Papademos took office on Friday. The former central banker who oversaw his country’s entry into the euro zone in 2002 must win a Wednesday confidence vote in his cabinet before meeting euro zone finance ministers on Thursday. “The appointment of new leaders who are experienced economists in both countries provides some light at the end of the tunnel," Ric Spooner, chief market analyst at CMC Markets, said in a report. “There is a better possibility of economic reforms to improve the efficiency and competitiveness of both the Greek and Italian economies and provide a platform for growth over the medium- to longer term." Across the Atlantic, US consumer sentiment rose to a five-month high in early November, reflecting an improved economic outlook and helping boost oil prices on Friday. “There seems to be nothing to suggest that they are about to go into a double dip recession, with consumer confidence figures coming in better than expected on Friday," said Ben Le Brun, market analyst at OptionsXpress, in a report. On the supply front, investors worry the crisis over Iran’s nuclear programme could get out of hand. US President Barack Obama said he and Russian President Dmitry Medvedev discussed Iran, among other topics, at their meeting. Obama said he and Medvedev “reaffirmed our intention to work and shape a common response so we can move Iran to follow its international obligations when it comes to its nuclear program".